You can remain on your spouse's health coverage when the spouse retires. 2. Why Use First-To-Die Life Insurance? No law or regulation prohibits you from being on your retired spouse’s health insurance. There are several circumstances in which this can happen, but some variables should be considered before deciding to do so. Some employers’ health insurance programs provide their retirees with continued health insurance, which coordinates with Medicare. If the plan also provides for the continuation of spousal coverage, this is probably the best arrangement. There is no spousal or family coverage under Medicare. The only way to qualify for Medicare coverage is to be age 65 or older, or be disabled. 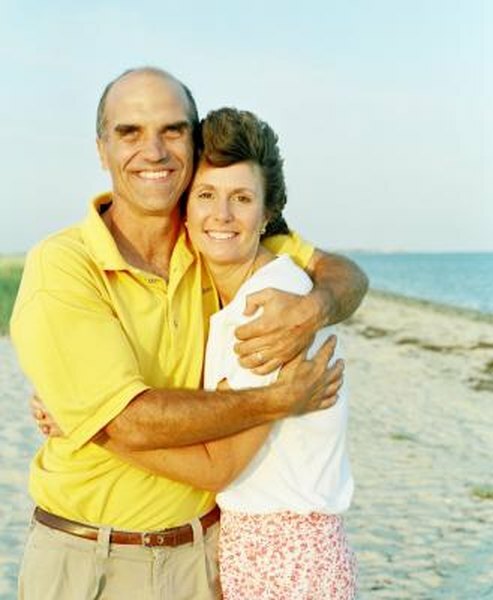 This is a critical element of retirement planning for many couples in which the older spouse is the primary earner, whose company-provided health care benefits have covered the younger spouse. If the younger spouse loses coverage when the older spouse retires, provisions must be made to ensure continued coverage for the younger spouse. This may entail purchasing private insurance. If the older spouse is covered by a plan of individual insurance purchased from an insurance company, and that plan also covers the younger spouse, it is prudent to analyze the coverage and its costs periodically, especially if the policy was originally purchased to cover the children as well. The cost for the single policy covering both spouses might be higher than the cost for two individual policies, especially if there is a significant age gap between the two spouses. This is because the insurance company prices the policy based on the age of the older spouse. If continued coverage under the older spouse’s plan is unavailable or not practical from a cost perspective, there are a couple of other options available. The simplest is for the younger spouse to secure coverage from her own employer. Another is the Consolidated Omnibus Budget Reconciliation Act, or COBRA, which will continue coverage for the younger spouse for at least 18 months after the spouse’s retirement. COBRA premiums are 102 percent of the rate the employer pays, but could still be less costly than individual insurance purchased on the open market. If the age gap between the two spouses is small, only a year or two, it may make the most sense for the older spouse to continue working until the younger spouse qualifies for Medicare. AARP: Younger Spouse Losing Health Insurance -- Now What? CNN Money: Does My Spouse Need a Separate Policy When I Retire?